Toyonaga Kumajochu - Kampai! : Kampai! 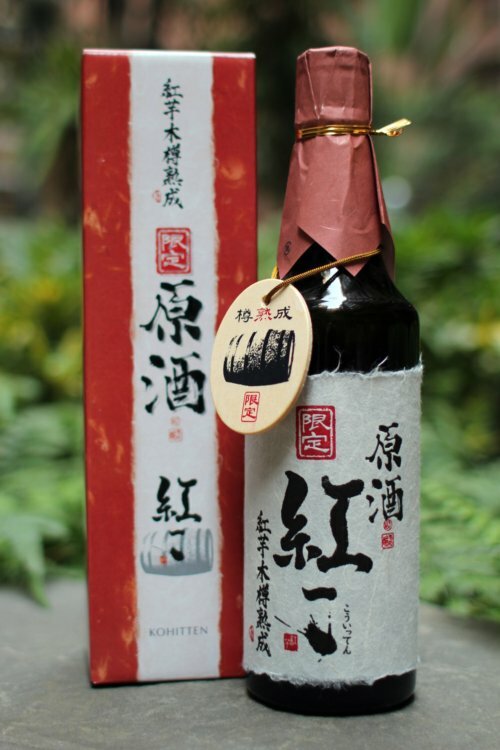 Distillery: Toyonaga Shuzo Co, Ltd.
Toyonaga, the “Land of Plenty” shochu, is made by toji Jiro Toyonaga with premium milled Yamada Nishiki rice in the Kuma Valley (aka, Shochu Valley) of Kumamoto Prefecture. This gives it the special designation of being a kumajochu, which is to kome shochu what Champagne is to sparkling wine. What makes Toyonaga particularly special is that it’s one of the closest distilleries to the headwaters of the Kuma River (#4 on this map). So that’s all great, but what does it taste like? Toyonaga starts with a fresh, melon nose – reminiscent of a nice sake. 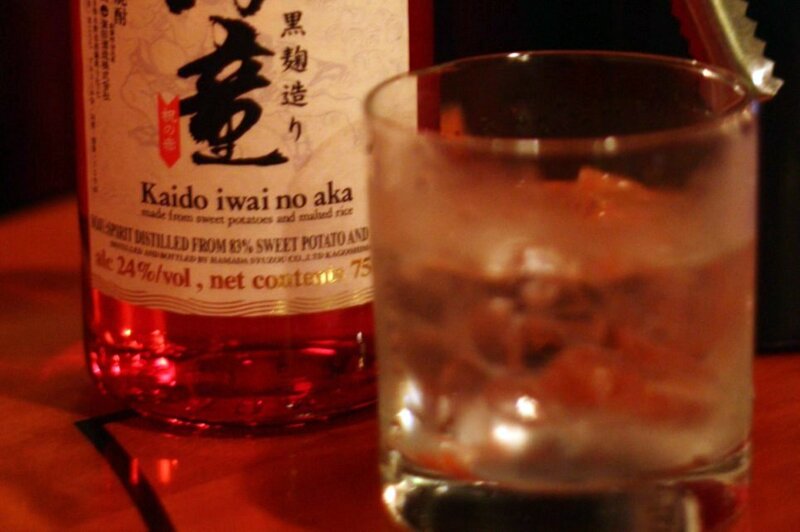 The initial taste is a robust sweetness also similar to a sake. That’s where the similarity ends as an alcoholic undertone pervades the sweetness. That sweetness quickly transitions to a spiced mouthfeel that leads to a faint bitterness – a hint of fresh daikon. The finish is bright and verdant. Springtime. 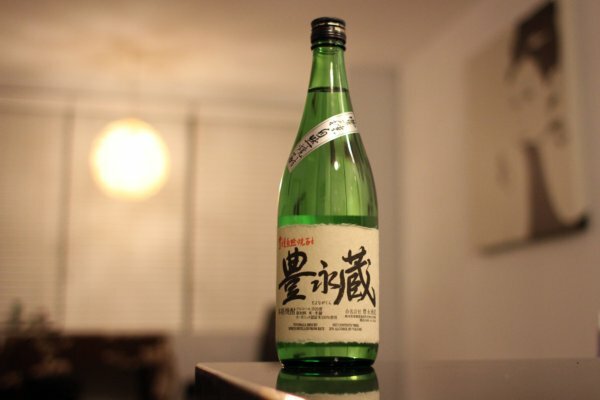 Toyonaga surprises as a very complex kome shochu. Many other kome imports are more mild, mellow, and straightforward. This one rewards the patient drinker with a complex, rich, delicious experience. The bite of drinking it straight, which some drinkers may enjoy, is remedied easily with a splash of water. Say a 7:3 mix in favor of the shochu. 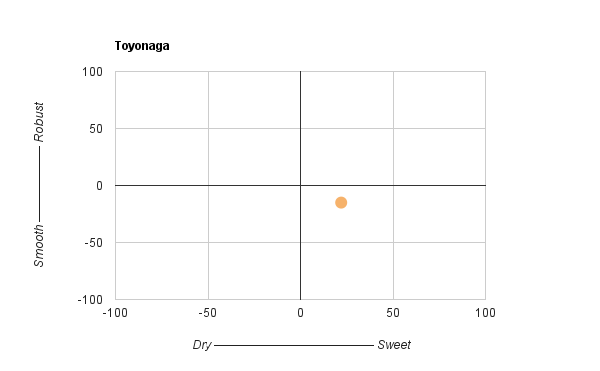 Toyonaga is also refreshing on the rocks, but the chill hides some of the more interesting flavors. All in all this is a gem that will remain part of the shochu collection for some time to come.